The water that we drink, that we use to irrigate our farms and backyard gardens, that we play in and use to drive our businesses forward, and that sustains native fish and wildlife – this resource flows across our state in a complicated cycle with enormous impact on people, nature and Oregon’s economy. Stronger protections for groundwater: Focus on stepping up studies to better understand and manage groundwater resources. With demand for groundwater growing, a clear understanding of how much is available for use by people and farms, and how much is needed to support healthy streams and ecosystems, is essential to Oregon’s water future. Better protections for fish and wildlife: Concerted effort to determine how much water must stay in rivers and streams to maintain healthy fish and wildlife populations, especially during critical life stages of native fish. Direction to increase state-held in-stream water rights to preserve healthy rivers in perpetuity. Measurement of water use: Requires completion and implementation of a statewide plan for measuring all water withdrawn from rivers and aquifers so that we can balance needs between people, industry and nature. The Oregon Water Resources Department received 250 comments from individual Oregonians on the Integrated Water Resources Strategy – that’s 12x more than when the strategy was originally developed! 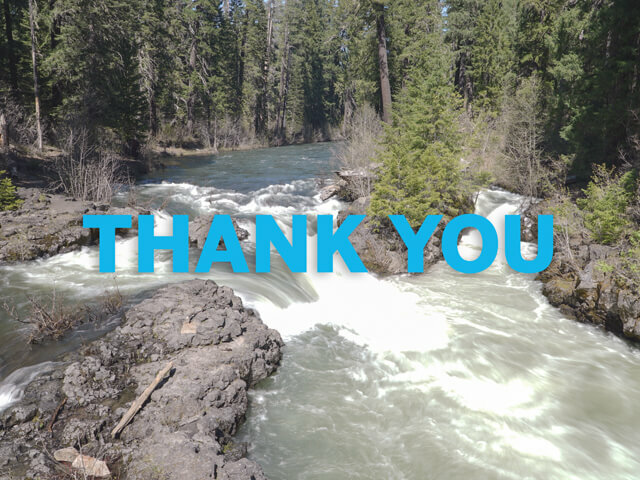 Thanks to your advocacy, the Department heard the message loud and clear: prioritize clean and plentiful water for all Oregonians. Clean water is Oregon’s next big challenge. In rural, urban and suburban communities, water fuels our economy and defines our many ways of life. We have a history of coming together to make a difference for our environment, and now it’s time to put that energy into action for our water resources. Read more about where we’ve come and what still needs our attention to protect Oregon’s waters for future generations. Across the state, Oregonians worked together in 2014 for the benefit of our environment. Here are a few of the many wins Oregon can celebrate as we reflect on the past year. We congratulate the great work of so many people and organizations that made this work possible. 2 Replies to "Wins on the Road to Clean Water"
CLEAN WATER AND AIR are Oregon’s most important resources. Without them NOTHING works. I believe that clean water is important to the health so we need to make sure that the quality of water we drink is clean and safe. This is why we need to filter our water all the time. We never know what kind of micro organisms and bacteria are present in the water. This can make us sick or worse it may cause our death. It’s better to always be safe than sorry.